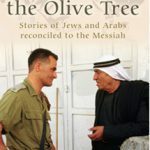 "Now learn from the parable of the fig tree ... when it puts forth its leaves ..."
Who’s speaking half-truths or even myths about Israel? The list is endless: the UN, the EU, the Palestinian Authority (PA), the pope, the World Council of Churches (WCC) … And how are the lies spread? By the media of course! CNN, CBC, BBC, ITV, the Guardian, and the New York Times have all been accused of media bias or half-truths. For example, in Britain the TV media are accused of reporting bias in favour of Hamas – their statements are inflammatory e.g. “Israel bombs civilian targets with links to Hamas”, link. What are the most Fundamental Myths about Israel? Why are these statements inflammatory, or just plain wrong? Take the Jewish capital for instance. The UN and the EU prefer a two-state solution such that Jerusalem is the capital of both Israel and Palestine. But since a Palestinian State never existed in the past, does not exist now, and most likely never will exist, then this position is academic. More fundamentally, in international law it is a sovereign state’s right to determine its own capital, and Israel proclaimed Jerusalem to be her capital shortly after the declaration of the State of Israel in 1948. In any case, no other country in the world has been asked to divide its capital, so why should Israel? What is the truth about these and other issues? Why bother with tiny Israel? What does this controversial nation's endless troubles and conflict have to do with the world's problems? What does it have to do with us? This may surprise you. Did you know that Israel is predicted to be the future seat of world government. What? This tiny war-ravaged and unpopular nation is predicted to be the ruling power of the future? Yes; that is what the Bible says. Now, it's up to each of us to believe that or not. Or simply just watch Israel and see what unfolds! Click the image below to read 54 prophecies about Israel. They form a timeline from Abraham to the Millennial age. See their fulfillment today! 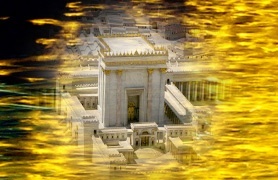 Christ will reign from a new temple in Jerusalem "This is the place of My throne" (Ezek 43.7). A common interpretation of the relevant prophecies is that the immediate future for Israel is bleak as nations attempt to eliminate her by war, link. But, despite severe losses, a remnant of Israel survives and leads Israel into a time of peace with the world. This is the so-called millennial age on earth, when the whole world is at peace and nations are at peace with Israel. In fact, Israel becomes the focus of world attention as she once more takes up her role as God's witness to the nations (Isa 43.1,10 and 2 Sam 7.23), link. 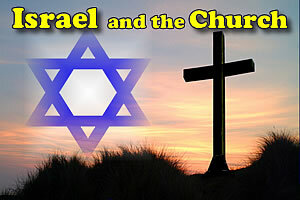 What are the biblical roles of national Israel and the church today? And what role do they both play in the future? Click the image to find out. 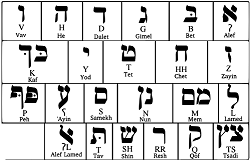 The Hebrew word ‘Yehudi’ (Jew) originated from the name Judah (2 Kings 16.6). But when Israel became divided into northern and southern kingdoms (the Kingdom of Israel and the Kingdom of Judah) the term ‘Jew’ came to apply to all those in the Kingdom of Yehudah (Judah). This kingdom embraced the tribes of Judah, Benjamin and Levi, so Paul called himself a Jew since he was from the tribe of Benjamin (Acts 22:3), and Jesus was a Jew since His lineage is traced to Judah (Lk 3.23-33, Heb 7.14). Look, I am coming soon, bringing my reward with me to repay all people according to their deeds. I am the Alpha and the Omega, the First and the Last, the Beginning and the End. Blessed are those who wash their robes. They will be permitted to enter through the gates of the city and eat the fruit from the tree of life. Outside the city are the dogs—the sorcerers, the sexually immoral, the murderers, the idol worshipers, and all who love to live a lie. I, Jesus, have sent my angel to give you this message for the churches. I am both the source of David and the heir to his throne. I am the bright morning star. The Spirit and the bride say, “Come” Let anyone who hears this say, “Come” Let anyone who is thirsty come. Let anyone who desires drink freely from the water of life. and if anyone takes away from or distorts the words of the book of this prophecy, God will take away [from that one] his share from the tree of life and from the holy city (new Jerusalem), which are written in this book. The apostle Paul described man’s destiny as a mystery. He said that mortal man was meant to become immortal (that is the plan of his Maker) and then live with His Maker eternally. This is a truly mind-blowing concept, but that is what the Bible says. What I mean, friends, is that what is made of flesh and blood cannot share in God’s Kingdom, and what is mortal cannot possess immortality. There is a caveat here: this amazing transition to immortality is conditional, as explained below. He said to me: “It is done. I am the Alpha and the Omega, the Beginning and the End. To the thirsty I will give water without cost from the spring of the water of life. Those who are victorious will inherit all this, and I will be their God and they will be my children. But the cowardly, the unbelieving, the vile, the murderers, the sexually immoral, those who practice magic arts, the idolaters and all liars — they will be consigned to the fiery lake of burning sulfur. This is the second death. The amazing promise of eternal life with our Creator is conditional. We must first reach out to God through the living Jesus Christ. In doing so our lives will be totally changed. Jesus said this eternal and perfect destiny can be ours by simply believing and trusting in Him. We can of course choose not to believe, and many do so. One more thing. Before the passing away of the present earth, prophecy strongly suggests that there will be a glorious time of peace on this earth when Jesus returns. And believers will play a major role as immortal beings! A “contract” can be defined as an agreement between two parties which obliges each party to do or not to do a certain thing. It is an agreement with promises of delivery, but also with stipulations and penalty clauses. In the time of Moses God made such a contract with the people (nation) of Israel, although the Bible refers to it as as “God’s covenant”. Now if you obey Me fully and keep My covenant, then out of all nations you will be My treasured possession. Although the whole earth is Mine, you will be for Me a kingdom of priests and a holy nation. So Moses went back and summoned the elders of the people and set before them all the words the Lord had commanded him to speak. The people all responded together, “We will do everything the Lord has said.” So Moses brought their answer back to the Lord. If you listen to these commands and obey them faithfully, then the Lord your God will continue to keep his covenant with you and will show you his constant love, as he promised your ancestors. In biblical terminology this contract between God and Israel is often referred to as the Mosaic Covenant. The “if-then” statement in these verses reveals that it was conditional. Israel had to be obedient to God’s requirements in order to receive His blessings. 3You will be blessed in the city and blessed in the country. 4The fruit of your womb will be blessed, and the crops of your land and the young of your livestock—the calves of your herds and the lambs of your flocks. 5Your basket and your kneading trough will be blessed. 6You will be blessed when you come in and blessed when you go out. 7The Lord will grant that the enemies who rise up against you will be defeated before you. They will come at you from one direction but flee from you in seven. 8The Lord will send a blessing on your barns and on everything you put your hand to. The Lord your God will bless you in the land he is giving you. 9The Lord will establish you as his holy people, as he promised you on oath, if you keep the commands of the Lord your God and walk in obedience to him. 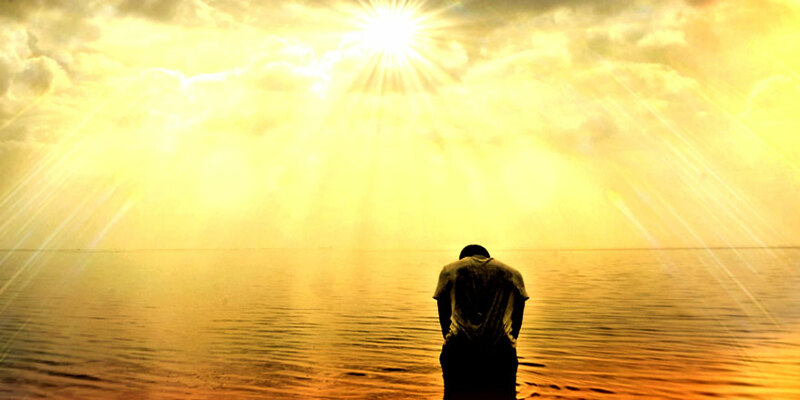 10Then all the peoples on earth will see that you are called by the name of the Lord, and they will fear you.11The Lord will grant you abundant prosperity—in the fruit of your womb, the young of your livestock and the crops of your ground—in the land he swore to your ancestors to give you. 12The Lord will open the heavens, the storehouse of his bounty, to send rain on your land in season and to bless all the work of your hands. You will lend to many nations but will borrow from none. 13The Lord will make you the head, not the tail. If you pay attention to the commands of the Lord your God that I give you this day and carefully follow them, you will always be at the top, never at the bottom. 14Do not turn aside from any of the commands I give you today, to the right or to the left, following other gods and serving them. 16You will be cursed in the city and cursed in the country. As discussed, Israel failed and broke the contract, and so in the New Testament era the contract was offered to Gentiles – namely the church. Today the church has the opportunity to receive the blessings of the contract (God’s blessings). All she has to do is keep her side of the contract by being God’s witness to the nations. She has to preach the good news (the Gospel). That said, in these end times, a remnant of Israel is once more fulfilling her mission, together with the contracted Gentiles. Today we see the return of the Jews back to their God-given homeland (Canaan). We see the establishment of the State of Israel. We see a nation turning to the statutes God laid down under Moses. We see the majority of the nation now following God’s Holy Feasts and keeping the Jewish Sabbath. As a result, the nation of Israel is once more being blessed in the country (abundant agriculture), blessed in the city (technological innovation) and blessed in the sea (discovery of large natural resources). 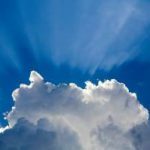 We also see God’s amazing protection (as in the 6-day war), and God building a numerous people as in the birth of numerous sons and daughters. The book of Genesis says that God made a great promise to Abraham (the unconditional Abrahamic Covenant): “through you I will bless all the nations”. That is why his descendants, the Israelites, are blessed. Today, Israel has been restored as a nation and is blessed with progress, protection, resources and intelligence. And despite many attempts over nearly 3,000 years to exterminate the Jews, a remnant has always survived. In fact, the number of Jews in Israel today has increased by over 7,000 percent in just 100 years! “Yes, my son?” Abraham replied. Abraham answered, “God himself will provide the lamb for the burnt offering, my son.” And the two of them went on together. As the scriptures say, “Abraham believed God, and God counted him as righteous because of his faith”. So God could use Abraham for the future and He rewarded him through several unconditional promises. First, through Abraham’s descendants came the offer to all men of reconciliation to God through Jesus Christ. That stands today. Secondly, God said that He would make the descendants of Abraham into a great nation which would be God’s servant and witness in the world. Today we see God fulfilling this promise as God’s people return to their promised land. The people of Israel are once more becoming God’s witness to the nations. PARADISE (EDEN) WAS LOST, BUT THE APOSTLE JOHN WROTE THAT IT WILL BE RESTORED IN THE FUTURE. In the Creation account of Genesis, we read about a paradise-like garden called Eden, where two important trees were planted by God: the Tree of Life and the Tree of the Knowledge of Good and Evil. These trees seem to have been deliberately planted to test how humans would use their free will. As the story recounts, the first humans failed the test and were driven away from Paradise. Now the Lord God had planted a garden in the east, in Eden; and there he put the man he had formed. The Lord God made all kinds of trees grow out of the ground — trees that were pleasing to the eye and good for food. In the middle of the garden were the tree of life and the tree of the knowledge of Good and Evil. A river watering the garden flowed from Eden; from there it was separated into four headwaters. The name of the first is the Pishon; it winds through the entire land of Havilah, where there is gold. (The gold of that land is good; aromatic resin and onyx are also there.) The name of the second river is the Gihon; it winds through the entire land of Cush. The name of the third river is the Tigris; it runs along the east side of Ashur. And the fourth river is the Euphrates. Genesis tells us that Adam and Eve ate of the fruit of the Tree of Knowledge of Good and Evil, which was supposed to make them die. They didn’t die immediately, but they did die of old age, like all mortals. It seems that mortality was the consequence of eating the fruit of the Tree of Knowledge of Good and Evil. Mortality was the consequence of the wrong free will choice. What if they hadn’t eaten the forbidden fruit and simply obeyed the rules God imposed in Eden? Would they have been given the gift of immortality as a reward? Would they have continued to live and not die? It seems that, given free choice (free will), mankind made the wrong choice. We can dismiss the Genesis account as myth, and many do. At the outset it seems unfair on the rest of mankind. But it does explain everyday experience. It explains how man’s free will (choice) can be destructive, or constructive. It explains the chosen paths of Hitler and Wilberforce for example; one man destroyed humanity whilst the other helped humanity. In a fallen world who can deny that man can do either? The Genesis account also gives hope for mortal man. The Bible says the whole of creation, including mankind, will return to a state of paradise in the future. The Apostle John wrote in the book of Revelation that Eden will be restored and populated by all who believe in Jesus. Then the angel showed me the river of the water of life, as clear as crystal, flowing from the throne of God and of the Lamb down the middle of the great street of the city. On each side of the river stood the tree of life, bearing twelve crops of fruit, yielding its fruit every month. And the leaves of the tree are for the healing of the nations. No longer will there be any curse. The throne of God and of the Lamb will be in the city, and his servants will serve him. They will see his face, and his name will be on their foreheads. There will be no more night. They will not need the light of a lamp or the light of the sun, for the Lord God will give them light. And they will reign for ever and ever. In Genesis chapter 1 we read that God made mankind male and female and blessed them to be “fruitful and multiply”. 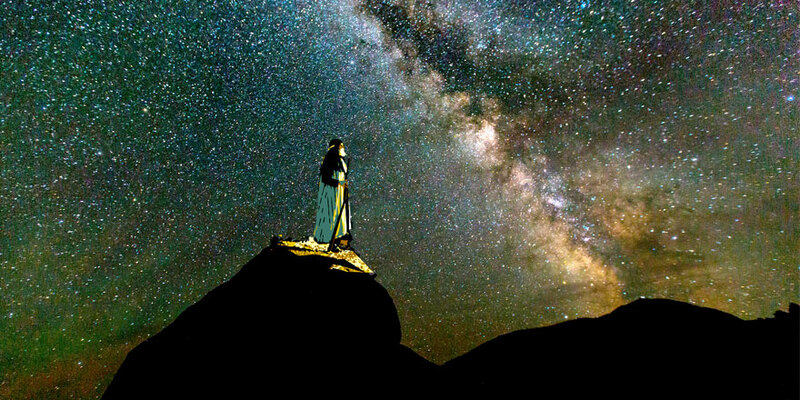 Why did the Creator of the universe give man the mandate to procreate and proliferate? Think about the billions of humans born since the world began. What were they born for? Where have they all gone? What did they live for? Did their lives have any real meaning? The answer to these questions is found in a mystery: we must be changed or “born again” as the Bible puts it. 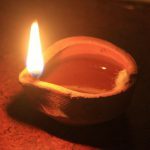 The true light that gives light to everyone was coming into the world. He was in the world, and though the world was made through him, the world did not recognize him. He came to that which was his own, but his own did not receive him. Yet to all who did receive him, to those who believed in his name, he gave the right to become children of God — children born not of natural descent, nor of human decision or a husband’s will, but born of God. Note that Jesus leaves the ball in our court! It’s up to an individual to choose to believe in Jesus and be born a second time! It’s up to us to find the meaning of life through Jesus. 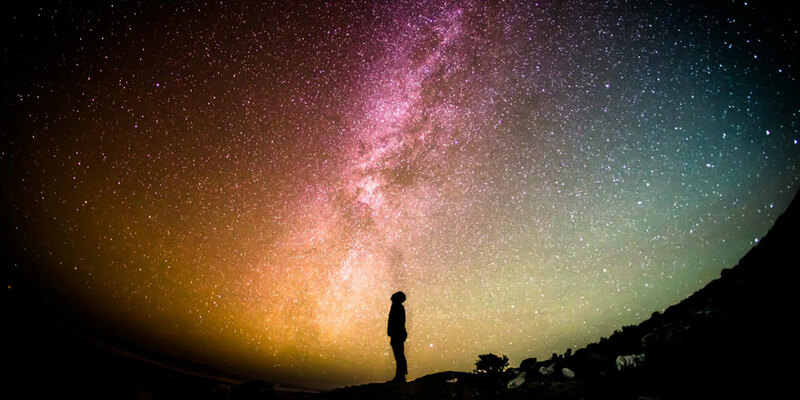 According to the Pew Research Center, an astounding 2.2 billion people in the world base their religious beliefs and worldview on text written by Hebraic men who wrote bold declarations about the world’s origins, future, and man’s ultimate destiny. 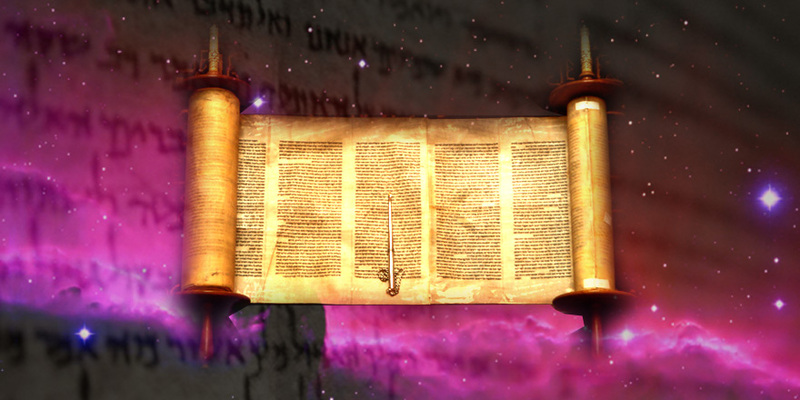 Interpretations of the Bible abound, but what is actually written? Do the Jews have any advantage over the Gentiles? Or is there any value in being circumcised? Much, indeed, in every way! In the first place, God trusted his message to the Jews. Put another way, here Paul is saying that the inspired Hebrew scriptures of the Jews are the very words of God! Then God said, “Let us make mankind in our image, in our likeness, so that they may rule over the fish in the sea and the birds in the sky, over the livestock and all the wild animals, and over all the creatures that move along the ground.” So God created mankind in his own image, in the image of God he created them; male and female he created them. But what does it mean “to be made in God’s image”? The Bible says “God is Spirit” but clearly we are “flesh and blood”. So isn’t something wrong here? No. We need to look to man’s future. In chapter 8 of Paul’s letter to the Romans he spoke a mystery. 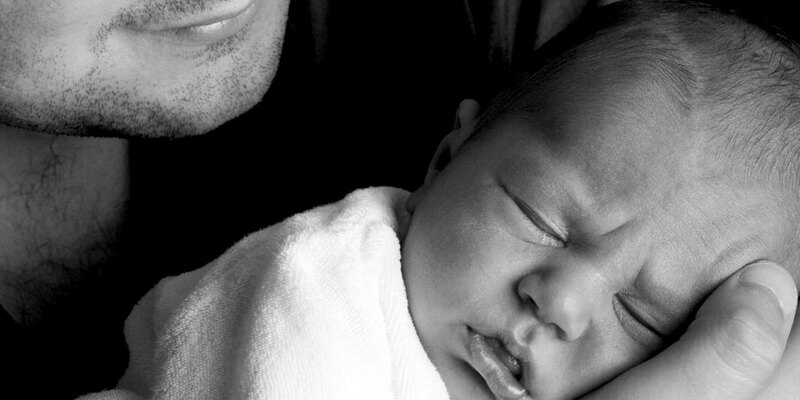 He said creation waits in eager expectation for the children of God to be revealed. He spoke of a hope of man’s “spirit form” in the future, as distinct from flesh and blood. Instead of “mankind” or “fleshkind” he was really speaking of man as a “spiritkind” or “Godkind”. I consider that what we suffer at this present time cannot be compared at all with the glory that is going to be revealed to us. All of creation waits with eager longing for God to reveal his children … For we know that up to the present time all of creation groans with pain, like the pain of childbirth. 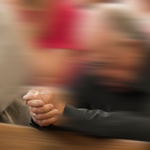 But it is not just creation alone which groans; we who have the Spirit as the first of God’s gifts also groan within ourselves as we wait for God to make us his children and set our whole being free. This will happen at some point in the future. As we read on in the Bible we discover that man in immortal (spirit) form will one day live with his Creator God on a new and perfect earth! Now that blows your mind! 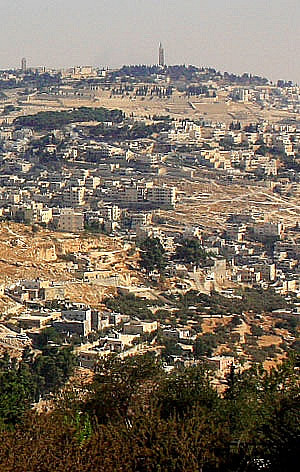 When Christ returns the geology of the area will be totally changed and the Mount of Olives just east of Jerusalem splits into two (enlarge image). It splits east-west with half the mountain moving north and half moving south, generating “a very large valley … reaching to Azal” (Zech 14.4,5). Azal may be several km south of the present-day Mount of Olives, link. 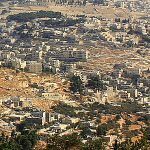 It is well known that there is a geological fault line running east-west through the Mount of Olives and just south of Jerusalem, link. Could it be that present-day Jerusalem is moved north to sit high above this valley? Ezekiel 40.2 and Zech 14.10 suggest that the millennial Jerusalem is elevated above a plain. Ezekiel 45 and 48 provide amazing detail of a (probably new) temple – the LORDS’s sanctuary – located just north of the city area (see map). Note that healing waters flow east from the temple down into the valley to enter the northern end of the Dead sea, resulting in the restoration of fishing (Ezek 47.1-10). 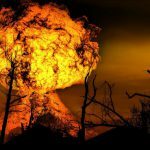 When is “the end of the World”? Jesus talked about world events at the “end of the age” in Mat 24.3. Here ‘age’ is translated from the Greek ‘aión’, meaning ‘an age’ or ‘a cycle of time’ (not ‘world’ as sometimes translated). So here Jesus was referring to a time dispensation rather than to the literal end of the world. Study of prophecy strongly implies that the ‘end of the age’ and ‘the end of the world’ are separated by 1,000 years. It appears that we currently nearing the end of approximately 6,000 years of human government and the start of 1,000 years of peace on the earth – the Millennial Age when Christ rules the earth (Zech 14.9). After this comes the literal ‘end of the world’ – the physical destruction of the present earth through intense heat (2 Pet 3.7,10). 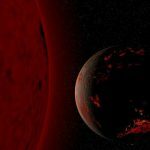 It is interesting that NASA scientists predict that, eventually, the sun will expand to become a red giant and burn up the solar system, including earth, link. So how many survive these onslaughts on Israel? So it is this one-third remnant of Israel that survives these times and comes through, refined as silver and tested as gold, to be God’s worthy servant in the millennial reign of Christ, link. Boycotts are social protests with the aim of changing Israeli government policy through economic damage. For instance, the global BDS campaign (Boycott, Divestment and Sanctions) aims to create economic and political pressure on Israel concerning (so-called) land occupation and Palestinian rights. Divestment is where investors refrain from investing in Israeli companies or in companies that trade with Israel, and consumers boycott Israeli products, especially products from Israeli settlements in so-called “Occupied Palestinian Territory”. But International law firmly states that Israel is not in ‘occupation’, link. Are boycotts effective anyway? Maybe not. Israel is still prospering, with the highest average living standards in the Middle East, the highest density of high-tech start-up companies in the world (high-tech exports c$19bn a year) and a lower Government debt to GDP than the USA or the UK. Before Moses died he blessed the tribes of Israel and some of these blessings involved blessing of the sea and the land. Joseph was to be blessed with ‘precious things from the deep (Heb ‘tehom’: sea, abyss) lying beneath’ (Deut 33.13), Asher was to ‘dip his foot in oil’ (Deut 34.24) and Zebulun and Issachar were to find ‘treasures hidden in the sand’ (Deut 33.19). Israel’s current borders are hotly contested as governments insist on ignoring the true legal position. Israel’s eastern border is of particular concern since it involves the West Bank. Thankfully, according to Bible prophecy, such disputes will be short-lived as this age rapidly comes to a close. 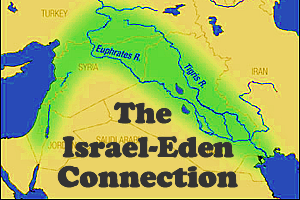 In the succeeding Millennial Age on earth, Israel’s borders will be firmly established by the God of Israel. In fact, these future borders are almost identical to the borders of ancient Israel given to Moses in Num 34.1-12 as he was about to divide up Canaan for the twelve tribes (enlarge map). 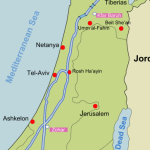 Ancient Israel’s eastern border ‘went down along the Jordan, ending at the Salt Sea’ (Num 34.12). Israel’s future borders are clearly defined in Ezek 47.13-20, and again the eastern boundary runs along the Jordan (v18). The borders also include Gaza, significant parts of present-day Syria and probably all of Lebanon. Are the politicians listening? Note that God’s unconditional land covenant with Abraham passed to Isaac (and then to Jacob) rather than to Ishmael and the Arab nations (Gen 17.19). This is the fundamental reason why religious Jews claim that the Land of Canaan (modern Israel) is their land, covenanted to them by God. “I will be a wall of fire around her … he who touches you, touches the apple of (the Lord’s) eye” (Zech 2.5,8). 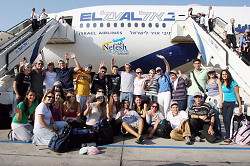 The Hebrew term ‘Aliyah’ describes the relatively recent massive influx of Jews to their ancestral land, Israel. They are coming from all over the world, from wherever they have been scattered amongst the nations. In 1915 there were just 83,000 Jews in Palestine (modern Israel) but this increased to over 6 million Jews by 2015, corresponding to an amazing 7400% increase! The picture shows the arrival of Jewish immigrants to Israel in 2007. 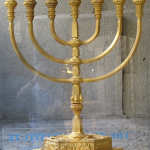 The seven-branched lampstand (Israel’s Menorah) well-summarizes the purpose of Israel both now and in the Millennium. The center branch represents Divine light (understanding) from God and the six branches represent human efforts to spread this light to the Gentiles (Isa 42.6). This battle concludes with the Second Coming of Christ to reign as King over all the earth (Zech 14.9), the last form of human government (probably centered on the EU) having been taken away like ‘chaff in the wind’ (Dan 2.34,35). God indeed intervenes in world affairs! 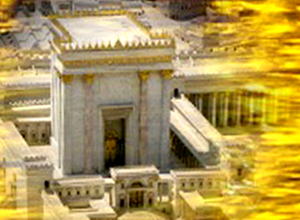 Still others become priests and keep charge of the (new) Jewish temple in Jerusalem (Isa 66.21, Exod 44.15). Prophecy indicates that there will be several major wars against Israel in the near future, just before Christ returns to rule the earth as King (Zech 14.9). The so-called Gog-Magog war in Ezek 38-39 results in the attackers being defeated by the intervention of the God of Israel, rather than by the armies of Israel (Ezek 39.3). This is in the form of extreme weather – extreme rain, hail and snow – and also by fire and brimstone similar to that which destroyed Sodom and Gomorrah (Ezek 38.22)(Job 38.22,23). 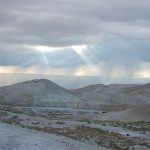 They fall on the open fields and mountains (Heb ‘har’ – hill country) of Israel and fail to reach Jerusalem (Ezek 38.19). The Golan Heights must be involved. 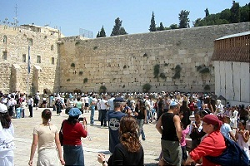 There will be an ‘all-nation’ invasion of Israel at the very end of the age, with Jerusalem the objective (Zech 14.2). This man-God war could involve neutron bombs since these vaporize flesh at close range. Such a fate of the invaders is suggested in Zech 14.12. The attackers may also be destroyed by nuclear devices since Malachi 4 refers to a time of fierce heat when invaders are burnt to ashes. 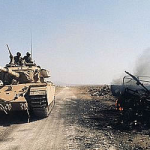 Bible prophecy describes how the increasing political bias of western nations, and the increasing aggression of Arab-Muslim nations finally leads to another major war against Israel. In fact, since prophecy is not precise, some see several major Middle East wars just before the close of this age and the Second Coming of Christ. These forces blind the nations – the politicians, the media, the institutionalized church, the man in the street and the adherents of political Islam such that they “believe a lie” (2 Thes 2.10,11). In fact, the spiritual aggression shown to Israel (and to the true followers of Christ) will intensify towards the end of this age (Rev 12.13-17). The problem is that Israel is now occupying land previously conquered by Islam. 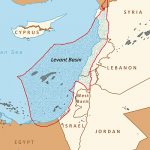 Muslims conquered The Levant (which embraces all of Israel and much more, link) in the 7th century and the land of Israel remained in Muslim hands (apart from the brief Crusader period) until liberated from the Muslim Turks by the British in 1917. According to Islamic ideology, once Islam conquers a territory it is to remain under Islamic dominion forever, and Islam is humiliated when such territories are lost to ‘infidels’, link. So Islam wants the Levant back! As the 1988 Hamas Charter states, “Israel will exist and will continue to exist until Islam will obliterate it”. Today this extreme ideology is underscored by ISIL. The term means ‘Islamic State of Iraq and the Levant’, so the destruction of Israel and the re-establishment of an Islamic caliphate in the land of Israel is the declared objective of militant Islam, link. 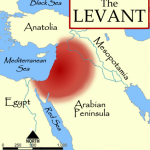 The Levant objective falls under the general Islamic ideology of a world-wide caliphate, link. Map copyright: By No machine-readable author provided. MapMaster assumed (based on copyright claims). Fundamentalist Christians believe that modern Israel, and not the church, will be central in world affairs at the close of this age. 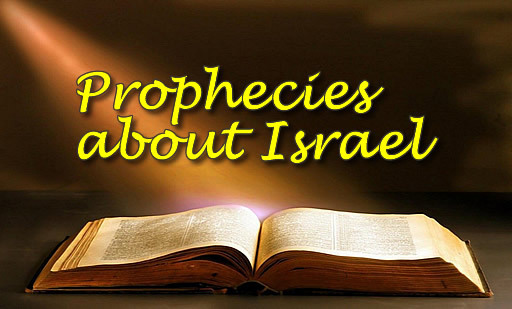 They believe that prophecy shows that Israel will become (if not already) God’s main witness in the world. Sadly this is not generally true of the western institutionalized church, which usually holds to ‘replacement theology’ i.e. the church and not Israel is God’s main witness today, link. They believe that since God rejected Israel then the Christian church is now God’s chosen people, not the Jewish people. Put simply, today’s church is often blind to her Jewish roots. This view is of course incompatible with Christ’s teaching, namely, that the gospel (as spread by the church) should be first conveyed to God’s people, the house of Israel (Mat 10.6). God wants the church to call His people, wherever they are, back to Himself. The result of such unbiblical teaching is that the institutionalized church takes the world’s view and essentially rejects modern-day Israel, and so pays little attention to end-time prophecy about Israel. This is spearheaded by the World Council of Churches (WCC) which has called on member churches (Anglican, Methodist …) to support an international boycott of Israeli settlement produce and services, link. Without doubt there is an overall bias in the UN against Israel. Between 1955 and 2013 there were 77 UN resolutions against Israel, and just one against the Palestinians, link. In 2015 the UN General Assembly adopted 20 resolutions against Israel, but only 3 against the rest of the world [UN Watch]. How can Israel be so wrong? Israel is often accused of being the aggressor in conflicts, whereas Israel claims she wages defensive war after provocation, link. Resolutions accuse Israel of settling in “Occupied Palestinian Territory”, and ignore Article 80 of the UN Charter which upholds the right of Jews to settle anywhere west of the Jordan! Other resolutions refer to the on-going Palestinian refugee problem, but many see this now as a political tool by Arab nations, link, link. But the UN is not all bad: in 2015 the UN began to address issues of concern to the Jewish community, particularly anti-Semitism. King David conquered Jerusalem in 1052 BC and today, in the Old City of Jerusalem (enlarge image), lies the rock (Mount Moriah) where Abraham offered up Isaac for sacrifice to God around 1800 BC (Gen 22.2). 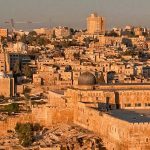 The deep significance of this to Jewish, Christian and Muslim beliefs makes Jerusalem one of the most contested pieces of real estate in the world. 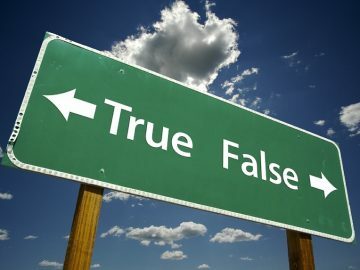 This is particularly true for orthodox Jews who believe that Jerusalem is center-stage of the land of Canaan promised to Abraham’s descendants, and for Christians who believe that Jesus was crucified and resurrected in the city, and will soon return to the Mount of Olives just east of the Old City. This instruction is timeless and applies to Palestinian Arabs today. Unfortunately, as long as Arab countries refuse to recognize Israel and continue to attack her, such cohabitation would seem to be impossible. But Israel will be at peace with her neighbours in the Millennium! Most of the western world aims for a two-state solution to the Israeli-Palestinian problem. The UN has even resolved to raise the Palestinian flag at the UN headquarters after upgrading the Palestinians’ status to a “non-member observer State” – even though no such state exists! In reality there can be no lasting, workable two-state solution. Here’s why. Add to this the Hamas objective of replacing the Jewish State with an Islamic caliphate, link, then the ‘two-state solution’ is clearly impossible! 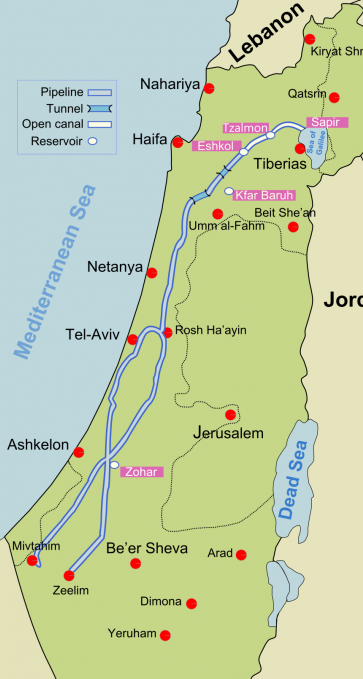 The West Bank refers to an area bounded by the so-called ‘Green Line’ and the west bank of the River Jordan (SEE MAP). 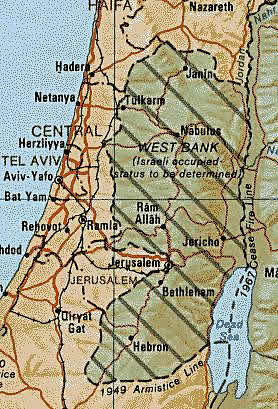 The Green line was an armistice line drawn up after the 1948-49 war under the auspices of the UN and it was intended to be temporary. So, through Arab aggression, Israel temporarily lost land mandated to her through the 1922 Mandate for Palestine, and this was only regained in the 1967 6-day war. The Green Line is not therefore Israel’s legal border, link, and all of western Palestine, from the Jordan to the Mediterranean remains legally open to Jewish settlement under the original 1922 Mandate. That includes the West Bank. Under the 1995 Oslo Accords II, the West Bank was divided into three areas (A, B, and C) and within these areas the Palestinian and Israeli authorities have different levels of control. Area A is under full control of the Palestinian Authority, Area B is under Palestinian civil control and shared Palestinian and Israeli security control, and Area C (62% of the West Bank) is under full Israeli control. Some 350,000 Jewish settlers live in the relatively lightly populated Area C, link. Israel’s strongest ally, the US, provides a diplomatic shield for her at the United Nations. This protects Israel’s desire to maintain the status quo and refrain from reaching an accommodation with the Palestinians. So the US can veto any UN resolution calling for the creation of a Palestinian state. Traditionally, the UK government has had good relations with Israel, including good intelligence cooperation, and has been viewed as one of the world’s friendliest countries to Israel, link. In recent years, India has expressed the desire to “deepen and develop” ties with Israel, and some see India as “Israel’s best friend in South Asia”. There is also muted and occasional support from the UN and the EU, but this is usually outweighed by condemnation in other areas. Currently, Israel has strong support from some western NGO’s like Freedom House. There are 21 governmental and intergovernmental entities (including the EU) that financially support Israeli NGOs, link, although some of these are politically biased and represent the interests of foreign governments, link. In contrast to other Middle Eastern countries, Israel has a western-style democracy. Whilst not perfect, this means that Israelis of all ethnic groups and religious beliefs, including Arab-Israelis, can actively participate in the election process, and all votes cast are equal in weight. Also, Israel is one of the few places in the Middle East where Arab women may vote. The principle of the generality of the elections ensures the active right of every Israeli citizen, who is at least 18 years old, to vote and the right of every Israeli citizen, who is at least 21 years old, to be elected. No voter ever votes for an actual person. Instead, every voter votes for a single party. The Israeli government resides in Jerusalem. This is where Israel’s Parliament (the Knesset) stands and legislates and where the Prime Minister, the President and the Cabinet have their offices (enlarge image). The location is politically sensitive in that the international community regard Jerusalem as part of both Israel and Palestine, and even that Jerusalem is ‘not part of Israel’ [US Supreme Court, 2015]. Israel is governed by a western-style multiparty parliamentary system. The government is headed by the Prime Minister, who is elected in nationwide elections for a period of four years, and an elected President who has a largely apolitical ceremonial role. The Knesset has legislative power and comprises 120 members who are also elected for a term of four years in nationwide elections. The electoral (voting) system is based on nation-wide proportional representation. This differs from the ‘first past the post’ system in the US and UK, and permits small parties to be elected. 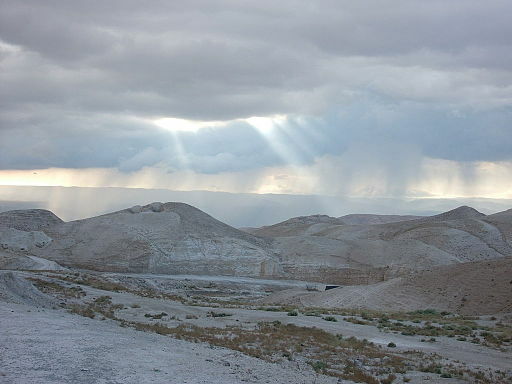 Rain in the Judean desert. Photo: Dror Feitelson Pikiwiki Israel [CC BY 2.5], Wikimedia. Bible prophecy over end-time Israel speaks of great blessings on the land. 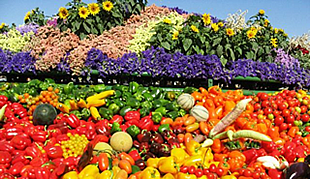 This will be in terms of abundant agricultural produce – grains, fruit and wine (Ezek 36.29,30) and nations will remark that desolate land has become “like the garden of Eden” (Ezek 36.35). All this of course requires water. Over the past 100 years Israel has engineered a national water carrier system and desalination plants, and she drains water from large aquifers under the desert. But what of the climate? Has there been a change in rainfall? 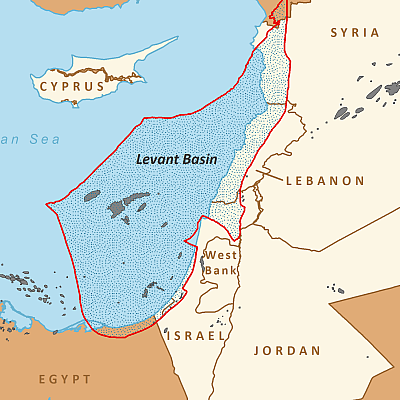 Some 80% of Israel’s natural water is in the north and the National Water Carrier (NWC) system conveys water from Lake Galilee southwards. The NWC was started in 1959 and now comprises a system of giant pipes, open canals, tunnels, reservoirs and large scale pumping stations (enlarge image). But with a rapidly growing population, Israel’s total annual renewable natural sources of fresh water are well below the UN definition of water poverty. So today Israel is meeting much of its water needs by purifying seawater from the Mediterranean and some 80% of domestic water in Israeli cities comes from desalinated water (the desalination facilities are connected to the NWC). Israel also reuses treated sewage, and computerized drip irrigation and micro-sprinklers for agriculture. Under the 1995 Oslo II Accord, Israel continues to supply agreed water amounts to Palestinian areas. In 2012, per capita water use was 150 MCM (million cubic meters) for Israelis and 140 MCM for Palestinians. As Jews started returning to their homeland around the start of the 20th century, the need to combat desertification became one of national importance. New immigrants embarked upon an extensive program of afforestation, and since 1900 almost 250 million sub-tropical trees have been planted in all regions of Israel. 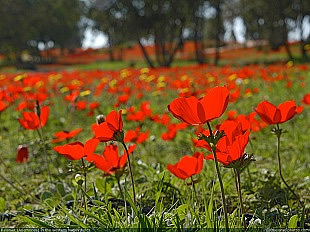 Over half of Israel’s saline soil is arid or semi-arid and only 20% is arable. Even so, Israeli farmers have come a long way since the Zionist pioneers began clearing rock-strewn fields and draining the swampland. Since Israel’s establishment in 1948, the country has almost tripled the territory used for farming and production has multiplied 16 times. 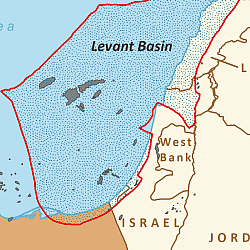 According to the 1922 League of Nations Mandate for Palestine, the Jews could settle anywhere between the Jordan and the Mediterranean Sea, see map. The Mandate did not grant any national political rights to Arabs, but Article 2 did safeguard the civil and religious rights of all inhabitants of Palestine, irrespective of race or religion. In 1946 the Mandate was transferred over to the UN, and Article 80 of the UN Charter implicitly recognizes the ‘Mandate for Palestine’ of the League of Nations. Moreover, as a direct result of Article 80, the UN cannot transfer these rights over any part of Palestine (vested as they are in the Jewish People) to any non-Jewish entity, such as the Palestinian Authority. 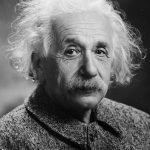 Few would doubt that Jews have for centuries been substantially over-represented in many fields of learning and accomplishment, notably of course is Albert Einstein. The proportion of Jews with IQ’s of 140 or more is estimated to be about six times the proportion of any other ethnic group. Israel has the highest ratio of university degrees to the population in the world, and she has the highest density of start-up companies in the world. Nobel Prizes have been awarded to over 850 individuals worldwide, of whom some 23% were Jews or people of strong Jewish ancestry. This is an amazing achievement bearing in mind that Jews comprise less than 0.2% of the world’s population! 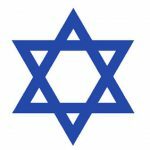 Jews have won a total of 41% of all the Nobel Prizes in economics, 28% of medicine, 26% of physics and 19% of chemistry. In the early 20th century the land of Israel was a mix of many peoples representing some 50 languages and there was no common Arab identity. In 1915 there were just 83,000 Jews but this increased to over 6.2 million Jews in 2015. Today, out of thew 8.3 million people in Israel (2015) the demographic mix is: Jewish (75%), Arab (21%), Others, including Christian (4%). Out of the 6.2 million Jews in Israel (2015), the demographic is: Orthodox (20%), traditional (38%), secular (42%). 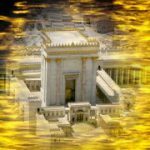 So who are the descendants of Abraham, Isaac and Jacob? They are of course the twelve tribes descended from Jacob (whose name was changed by God to Israel). These tribes (enlarge image) are listed in Gen 49. They were Hebrew Israelites. Since these tribes will once more take up their role as a witness to the nations during the Millennium (Ezek 37, Ezek 40-48), it follows that they must be amongst those who are returning to the State of Israel today. Note that, whilst it is common to refer to Abraham’s descendants as ‘Jews’, this is not strictly accurate. Strictly speaking, today’s Jews (Hebrew, ‘Yehudim’) are those who follow Judaism and who are descendants from the kingdom of Judah. 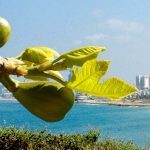 When Jesus spoke of the appearance of new shoots on the fig tree signalling that summer is near, He was really saying that His return and the coming of the fullness of the Kingdom of God is near – even ‘at the doors’. In Luke 21 He said ‘look at the fig tree (Israel) and ‘all the trees’ (the Gentile nations) and so observe the signs of the times. 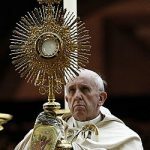 He implied that Israel will be the vortex of the nations at the end of this age and the sign of His soon return. 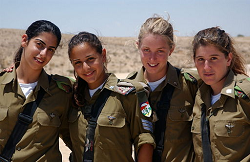 Over the past 100 years the nation and people of Israel have come to prominence on the world scene. This simple fact points to the imminent return of Christ. Around 922 BC the twelve tribes of Israel split into a southern kingdom (called ‘The House of Judah’, embracing Judea and Jerusalem) and a northern kingdom comprising ten tribes and called ‘The House of Israel’, or simply ‘Israel’. History shows that both houses rebelled against God, and despite warnings from the prophets, both houses were eventually removed from their Promised Land. The house of Israel and the house of Judah had broken God’s covenant (Jer 11.10), and by the first century all twelve tribes were scattered amongst the nations (Ja 1.1). Importantly, it is this return of God’s people that will eventually bring the nations to know God (Ezek 36.23). When was this to happen? Israel was to return and seek God after the gospel had been spread to the Gentile nations (Rom 11.25). 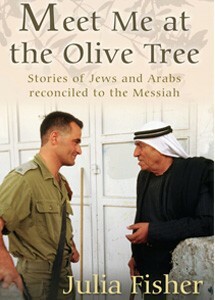 The twentieth century saw both the evangelization of the nations and God’s chosen people returning to Israel. History confirms the reality of such statements. Israel led to the Messiah, Jesus, and prophecy indicates that the land and people of Israel will be used to glorify God in the sight of the nations at the end of the age and in the age to come. Under God’s call, Abram (later called Abraham) migrated from the city of Ur sometime between 1900 and 1750 BC to God’s appointed land, Canaan (today’s Israel). Abraham’s wife Sarah bore him a son, Isaac, and Isaac’s wife Rebecca bore Jacob. History shows that God had a special task for Jacob and his descendants and He later changed Jacob’s name to ‘Israel’ (Gen 32.28). The etymology of the name Israel is not clear, although Gen 32.28 implies that Jacob and his descendants would struggle but prevail. The history of Israel confirms this thought; Jacob’s descendants, the twelve tribes of Israel (the Hebrew Israelites) have suffered but prevailed for 3,000 years. The descendants of Abraham formed a nation (Israel) around 1300 BC after their Exodus from Egypt to Canaan under the leadership of Moses, and in 1004 BC King David established Jerusalem as the capital of the Kingdom of Israel. NO! In the light of Israeli anti-discrimination law and Israel’s right to self-determination as a Jewish State, the accusation of ‘racist’ against Israel is unjustified. All Israeli citizens are granted full civil and voting rights. And just as a Palestinian state would maintain a demographic balance in favour of Palestinians, so the Jewish state of Israel maintains a demographic balance in favour of Jews by controlling immigration. There is a legal distinction between defensive wars and wars of aggression. The facts show that Israel’s role in Arab-Israeli conflicts has always been defensive in response to Arab aggression. 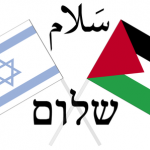 In response to major Arab attacks (1948-49, 1967, 1973), or incessant rocket attacks from Gaza, Israel has exercised her right of self-defense under UN Charter Article 51. NO! Whilst western nations led by the US and the UN favour the two-state approach, it is NOT the solution favored by the Palestinian Authority, Hamas or the Palestinian people! They aim for a single state – a Palestinian state. NO! All of Jerusalem was mandated to be part of the Jewish homeland under the 1922 League of Nations ‘Mandate for Palestine’ and so Israel’s sovereignty over all of Jerusalem is well-founded. Jerusalem was first divided through the 1948-49 Arab invasion of Israel, but at no time was East Jerusalem under legal ownership by an Arab entity. In any event, the division (the ‘green line’) was intended to be temporary. According to international law, Israel has a well-founded claim to sovereignty over Jerusalem, including its Old City. Also in international law, it is a sovereign state’s right to determine its own capital, and Israel proclaimed Jerusalem to be her capital shortly after the declaration of the State of Israel in 1948. NO: The Palestinian refugee problem was created by a sudden invasion of five Arab armies in response to the declaration of the State of Israel in May 1948. Arab governments rejected Israel’s offer to repatriate 100,000 Arab refugees, and the offer of UN money for the refugees. Israel is abiding by the 1995 Oslo II Accord and supplying agreed water quantities. It is up to the Palestinians to maintain water networks, utilize wastewater, improve existing supplies and drill new wells. Instead, water is often used as a political weapon, and so authorized wells are not dug and leaks are not repaired. According to international law, Israel is NOT occupying Palestinian land since the West Bank and Gaza Strip were not under any sovereignty prior to the Six Day War. All of western Palestine, from the Jordan to the Mediterranean remains legally open to Jewish settlement under the 1922 British Mandate for Palestine and Article 80 of the UN Charter. There never was “a Palestinian people” or “a Palestinian Arab nation”. League of Nations documents of the 1920’s refer to the local Arab population as ‘existing non-Jewish communities’. Palestinian nationalism only emerged in the mid-twentieth century, partly in response to the emergence of Zionism. YES! Archaeology and historical documents show that Jews have lived in Israel for over 3000 years! For example, they verify God’s plan for the Jewish Temple, the existence of King David, and the existence of Jewish synagogues in the Holy Land up to the Muslim conquest in 638 AD.